У роботі представлено порівняльний аналіз якості туш, отриманих від імунокастрованих та хірургічно кастрованих кнурів. Встановлено, що туші імунокастрованх кнурів мали меншу товщину шпику по всій туші, вищий вміст м’язової тканини, а також переважали хірургічно кастрованих за вмістом великокускових напівфабрикатів (ошийок, корейка, м’ясо окосту). Ключові слова: кнури, імунокастрація, хірургічна кастрація, якість туш. 1. Denvera, S. Consumer preferences for pig welfare – Can the market accommodate more than one level of welfare pork? / S. Denvera, P. Sandøea, T. Christensena // Meat Science. – 2017. – Vol. 129, P.140–146. 2. European Union. Council Directive 2008/120/EC of 18 December 2008 laying down minimum standards for the protection of pigs. OJ L 47, 18.2.2009. 3. Moorea, K.L. Boar taint, meat quality and fail rate in entire male pigs and male pigs immunized against gonadotrophin releasing factor as related to body weight and feeding regime. / K.L. Moorea, B.P. Mullanc, F.R. Dunsheaa // Meat Science. 2017. – Vol.125. – P.95–101. 4. Кравченко, О.І. Перспективи запровадження нової нормативної бази оцінки якості туш свиней в Україні / О.І. Кравченко, Д.А. Гетя // Аграрний вісник Причорномор’я. – 2011. – Вип.58. – С.37-41. 5. Oliver, M.A. ALCASDE – Final report. 2009. http://www.alcasde.eu. 6. Weiler, U. Einfluss von Geschlecht, Genotyp und Mastendgewicht auf die Androstenon- und Skatolkonzentration im Fett von Mastschweinen / U. Weiler, M. Dehnhard, E. Herbert, R. Claus // Die Ebermast, Angewandte Wissenschaft. 1995. – Heft 449. S.14-32. 7. Selection for high and low level of 5 α- androst-16-en-3- one in boars. I. Direct and correlated response of endocrinological traits. / H. Willeke, R. Claus, E. Müller [etc] // Journal Animal Breeding and Genetics. – 1987. – 104, 64-73. 8. Effect of live weight and dietary supplement of raw potato starch on the levels of skatole, androstenone, testosterone and oestrone sulphate in entire male pigs. / G. Zamaratskaia, J. Babol, H.K. Andersson [etc] // Livestock Production Science. – 2005. – Vol.93, Issue 3. – P. 235-243. 9. Frieden, L. Breeding for reduced boar taint. / L. Frieden, C. Looft, E. Tholen // Lohman Information. – 2011. – Vol.46(1). – P. 21-27. 10. Frieden1, L. Möglichkeiten zur Reduktion von geschlechtsbedingten Geruchsabweichungen am Schlachtkörper von männlichen, unkastrierten Mastschweinen Teil 2: Genetische Fundierung des Merkmals Ebergeruch und genetische Beziehungen zu paternalen und maternalen Reproduktionsleistungen. / L. Frieden1, C. Große-Brinkhaus, C. Neuhoff [etc] // Züchtungskunde. – 2014. – H.86, (5/6). – S. 319–341. 11. Hofmo, PO. Sperm sorting and low dose insemination in the pig an update. / PO. Hofmo // Acta Vet Scand. – 2006. – 48. – P.11. 12. American veterinary medical association. Literature Review on the Welfare Implications of Swine Castration. – May 29. 2013, 5p. – https://www.avma.org/KB/Resources/LiteratureReviews/Documents/swine_castration_bgnd.pdf. 13. Backus, Gé. Human nose scoring system for boar taint. / Presentation at the IPEMA 2nd Annual meeting. – Prague, February 2017. 14. Hart, J., Crew, A., McGuire, N. and Doran, O. (2016) Sensor and method for detecting androstenone or skatole in boar taint. EP2966441 A1. Available from: http://eprints.uwe.ac.uk/28667. 15. Meinert, L., Dall Aaslyng, M. The use of tainted meat. Presentation at the IPEMA 2nd Annual meeting. February 2017, Prague. 16. CA COST Action CA15215 (2016-2018)- Innovative approaches in pork production with entire males – IPEMA http://www.ca-ipema.eu/. 17. Giri, SC. Chemical castration in pigs. / SC. Giri, BPS. Yadav, SK. Panda // Indian Journal of Animal Science. – 2002. – 72. – P. 451-453. 18. Suppression of androstenone in entire male pigs by anabolic preparations. / A. Daxenberger, M. Hageleit, W. Kraetzl [etc] // Livestock Production Science. – 2001. – Vol.69. – f P. 139-144. 19. A review of the welfare consequences of surgical castration in piglets and the evaluation of non-surgical methods. / A. Prunier, M. Bonneau, EH. von Borell [etc] // Anim Welf. – 2006. – Vol.15. – P.277–89. 20. Effect of immunocastration in group-housed commercial fattening pigs on reproductive organs, malodorous compounds, carcass and meat quality/ M. Skrlep, N. Batorek, M. Bonneau [etc] // Czech J. Anim. Sci. – 2012. – Vol. 57. – P. 290–299. 21. Effect of a gonadotropin-releasing hormone vaccine (Improvac (TM)) on steroid hormones, boar taint compounds and performance in entire male pigs. / G. Zamaratskaia, H. Andersson, G. Chen [etc] / Reprod Domest Anim. – 2008. – Vol.43. – P.351-359. 22. Early vaccination with Improvac®: effects on performance and behaviour of male pigs. / K. Andersson, C. Brunius, G. Zamaratskaia, K. Lundström, // Anim. – 2011. – FirstView:1-9. 23. Growth performance, carcass characteristics and meat quality of group-penned surgically castrated, immunocastrated (Improvac) and entire male pigs and individually penned entire male pigs. / C. Pauly, P. Spring, J.V. O’Doherty [etc] // Animal. – 2009. – Vol. 3(7). – P. 1057-1066. 24. Skrlep, M. Comparison of entire male and immunocastrated pigs for dry-cured ham production under two salting regimes. / M. Skrlep, M. Čandek-Potokar, N. B. Lukač [etc] // Meat science. – 2016. – Vol.111, – P. 27-37. 25. Національний стандарт України. Свині для забою. Технічні умови. Зміна №1 до ДСТУ 4718:2007. 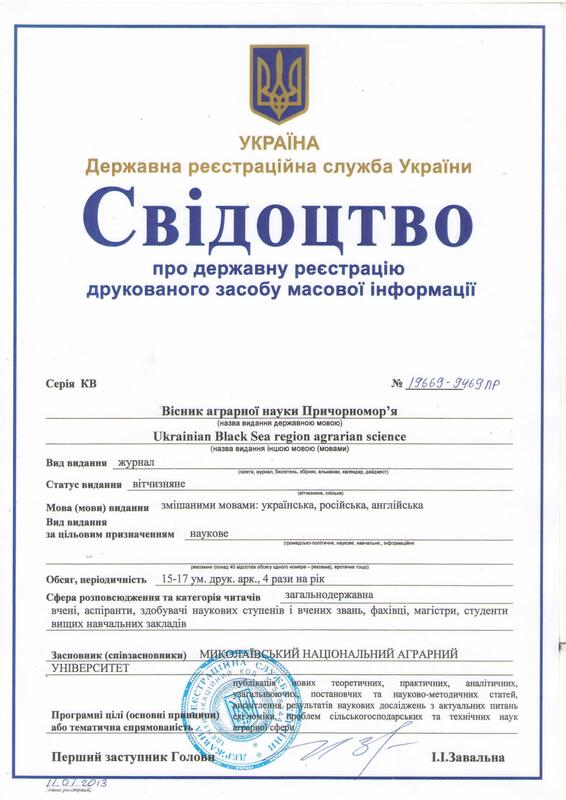 Київ, Мінекономрозвитку України, 2014. М. Г. Повод, О. И. Кравченко, А. А. Гетя. Использование иммунокастрации для улучшения качества туш хряков в условиях промышленного производства свинины в Украине. В данной статье представлены результаты сравнительного анализа качества туш, полученных от иммунокастрированных и хирургически кастрированных хряков. Установлено, что туши иммунокастрированных хряков имели меньшую толщину шпика по всей туше, болеем высокое содержание мышечной ткани, а также превосходили хирургически кастрированных по содержанию крупнокусковых полуфабрикатов (ошеек, корейка, мясо окорока). M. Povod, O. Kravchenko, A. Getya. 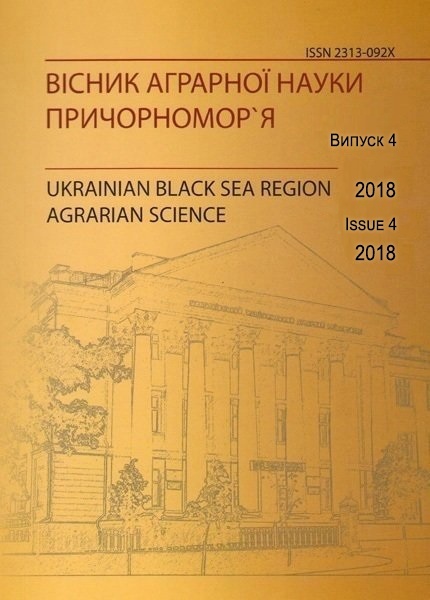 The usage of immunocastration for improvement of boars’ carcass quality in Ukrainian industrial farms. In this article the results of comparative analyze of carcass quality of immunocastrated versus surgically castrated boars are shown. It has been determined that the carcasses, obtained from immunocastrated boars, had lower backfat level over the whole carcass and higher meat content. They also had higher content of semi-finished products like neck, loin, ham.